﻿Contact me for information on all my services. Gone2Pot is busy all over London with coaching sessions and Junior Events so why not get in touch and join in with the action. The first Gone2Pot Junior Event of the year was a great success. Was nice to see returning players from last year and a lot of new faces too. The day saw Andrew winning the first event. Well done. Also Well done to all that took part, Event 2 coming soon. Is the date of the first junior event of the year. Please ﻿Contact me if you want to be a part of it. 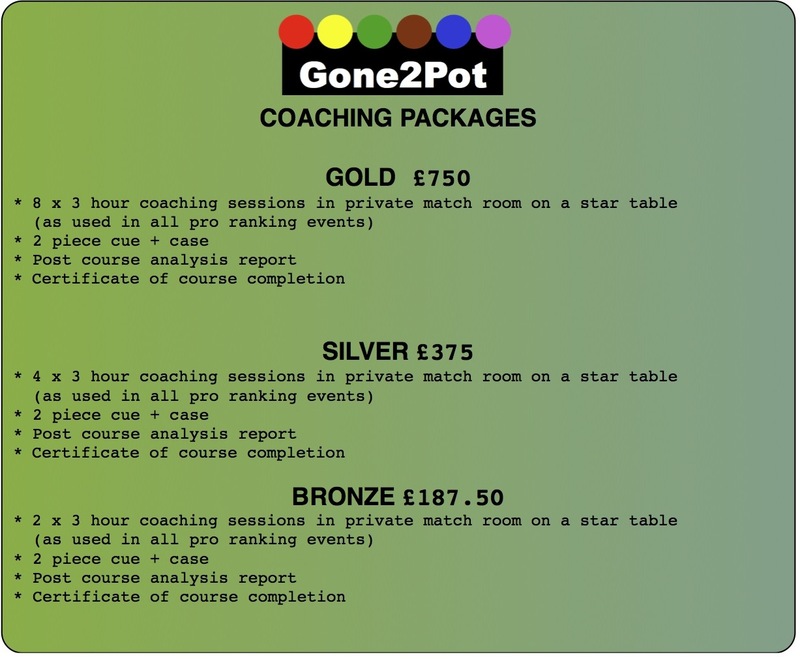 Gone2Pot has its own private match room available for coaching sessions and private hire. The Gone2Pot Junior Event 2011 is coming in February for more information or to sign up please ﻿Contact me. Its a cheap weekend activity for under 18's.